Calgary-based oil and gas exploration firm Griffiths Energy has seen a $2-milllion bribe paid to a diplomat’s wife turn into a damaging series of events that includes a cancelled IPO and a $10.35-million fine for bribery. After being charged under Canada’s Corruption of Foreign Officials Act, the company was forced to cancel “what would have been one the biggest initial public offerings in Canada”. Instead, the company is now scrambling to attract private money and its former board of governors face allegations of complicity. All this could have been avoided had Griffiths Energy decision-makers followed the policies outlined in the official Guide to Canada’s Corruption of Foreign Officials Act – available for free download from WhistleBlower Security! The investigation was started following Griffiths Energy’s disclosure that its outgoing management team had made illegal payments to officials in the Republic of Chad. An agreed statement of facts states that Brad Griffiths, a now-deceased Bay Street financier, and his two business partners, Naeem and Parvez Tyab, founded Griffiths Energy, and spent many months in 2008 establishing contacts within Chad’s embassy, with the intention of securing lucrative oil and gas leases in the central African country. In 2011, Griffiths Energy ended up paying $2-million in “consulting fees” to the wife of Chad’s ambassador to Canada, Nouracham Niam. Later that year, a new management team took over Griffiths Energy and reported the company’s questionable payments to police, who began an investigation. In the course of the RCMP investigation, it was revealed that Griffiths Energy was now exploring whether other consulting contracts were, in fact, a masquerade for bribery. The investigation culminated last week when Griffiths Energy incurred the $10.35-million fine—the largest since the establishment of the RCMP’s foreign corruption team. 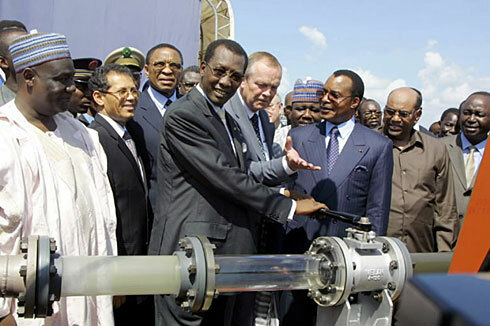 Since revealing Griffiths Energy’s actions in Chad, the company has implemented “robust” internal anti-corruption mechanisms.